New Delhi : A total of 39 people from Tamil Nadu and Kerala have been killed and 167 are still missing after Cyclone Ockhi hit both the states on December 30, a Home Ministry official said on Tuesday. Of the dead, 10 hailed from Tamil Nadu and 29 from Kerala where 2,802 and 33,000 people got affected due to the impact of the cyclone respectively, he said. 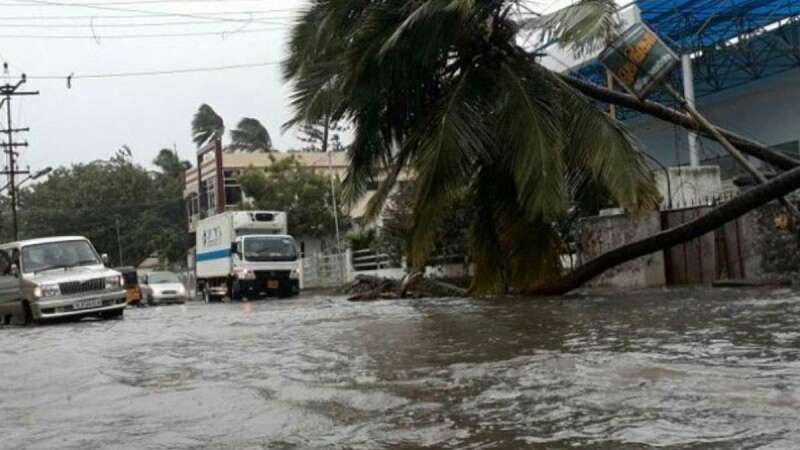 According to the official, five people from Tamil Nadu and 56 from Kerala suffered injuries after the cyclone which developed on November 30, a day after the India Meteorological Department (IMD) issued a warning. A total of 220 fishermen in Tamil Nadu, 390 in Kerala and 27 in Lakshadweep have been rescued along with 18 those who were stuck on two merchant craft boats, he said, adding "only those are missing till now who left into deep sea well before November 29". "The cyclone affected four districts in Tamil Nadu and eight in Kerala. There is lot of damage in Lakshadweep but no loss of human lives is reported." The official said a number of 74 people from Tamil Nadu and over 93 from Kerala are still missing and that the state government is in the process to identify them in the villages. A total of 33 Indian and foreign tourists visiting Lakshadweep at time the cyclone hit the island are safe, he said. "The tourists along with 250 people landed on the Lakshadweep coast and 809 landed on Maharashtra coast are being provided shelter and basic facilities." The official said that 10 ships and five aircrafts of Navy; 13 ships, four dornier aircrafts and one Chetak helicopter of Indian Coast Guard; one Advanced Light Helicopter, two MI-17 chopper and an AN-32 aircraft of Air Force is being used in the rescue operation. "This is a totally coordinated rescue operation. Cabinet Secretary review everyday about the situation apart from joint secretary level officers taking congnisance of the situation every three hours," the official said.